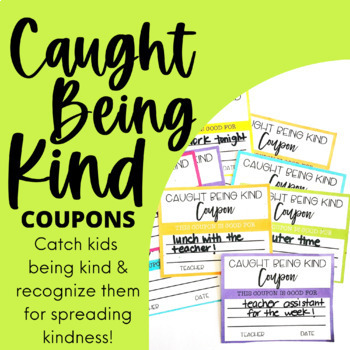 Let's catch our kids being kind and recognize them for spreading kindness! 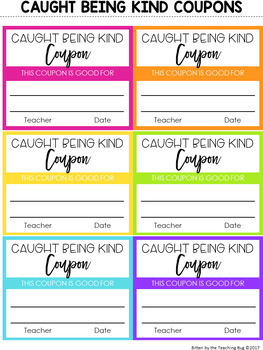 Let's reward kids who show outstanding effort at being kind to others. 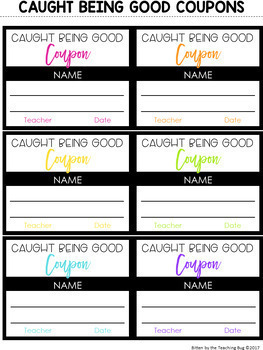 You will find 4 sets of coupons in bright colors and 1 black and white version for easy printing on bright paper without using our color ink! There is an editable version too! Open the zip file to find a PowerPoint that you can fill in with reward ideas, add your own fonts and sizes of names to your liking!